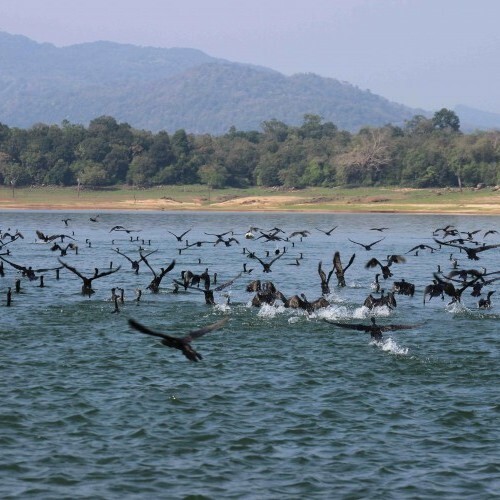 Gal Oya National Park was established in 1954 to protect the catchment area of the Senanayake Samudra, Sri Lanka’s largest inland body of water. 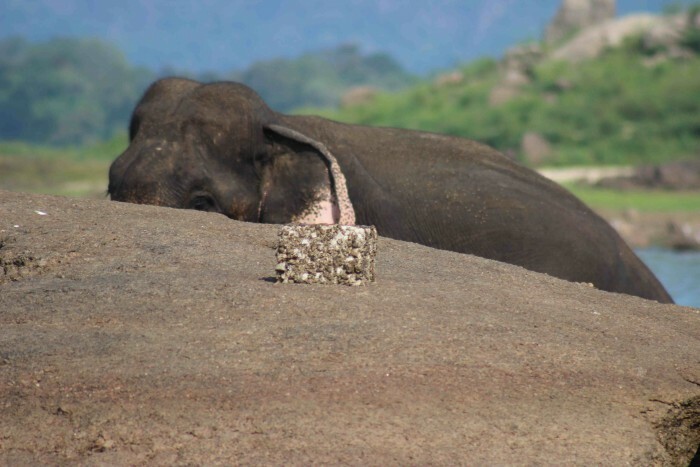 It is considered to be among the most scenically beautiful landscapes in Sri Lanka, with the lake surrounded by an impressive backdrop of rocky, forested hills. 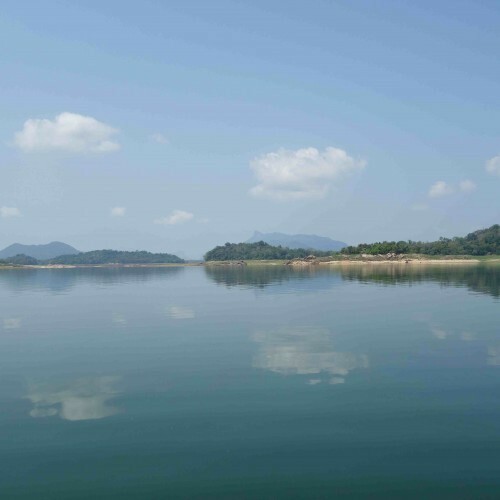 Senanayake Samudra reservoir supports an important fishery, and it is a valuable source of water for irrigation. Gal Oya National Park is an isolated wildlife reserve of over 25,000 hectares of lush evergreen forest and open savannahs alongside placid Senanayake Samudra in the dry zone. Unique to the island, Gal Oya is the only national park where safaris are conducted by boat, allowing closer than usual wildlife encounters. 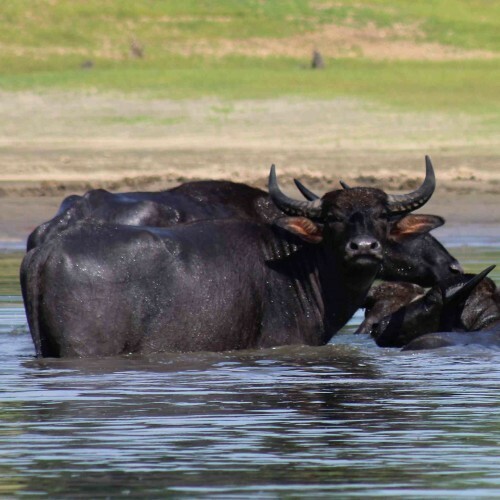 Gal Oya National Park is home to 32 species of mammals including langurs, toque macaques, leopards, sloth bears, wild boar, water buffaloes and deer, as well as around 150 species of birds of two distinct ecological categories, the fish-eating and fruit-eating species. Particularly noteworthy are the endemics, the Red-faced Malkoha and Sri Lanka Spurfowl, as well as the rare breeding resident in the dry zone, the Painted Partridge, for which this area is the last refuge. 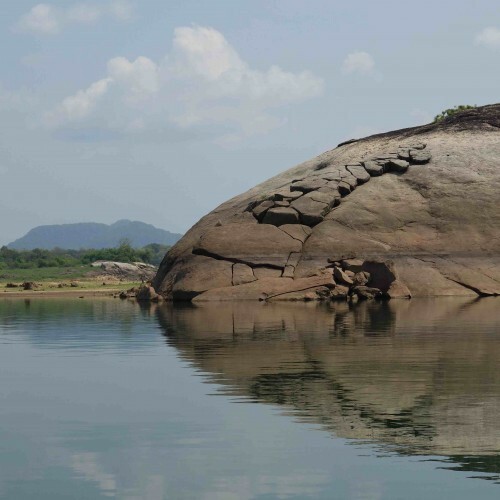 However, a seldom-seen highlight of a visit is to spot elephants swimming between the islands dotted around the lake – a memorable and profound experience. 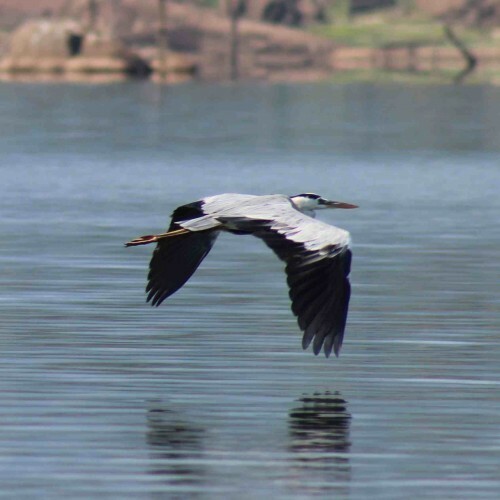 The best time to visit the park is between May and September since the area is mainly affected by the north-east monsoon, although towards the end of the dry season the lake may become too dry to support boat safaris. Why visit Gal Oya National Park? Unique to the island, Gal Oya is the only national park where safaris are conducted by boat, allowing closer than usual wildlife encounters. A seldom-seen highlight of a visit is to spot elephants swimming between the islands dotted around the lake – a memorable and profound experience. Gal Oya National Park may be visited on a 3-hour jeep safari when staying locally only. Explore the East and areas near Gal Oya. 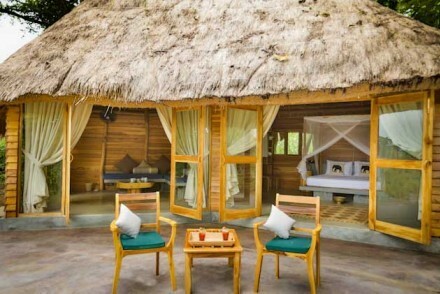 Luxury wildlife lodge constructed from locally-sourced, natural materials and spread over 8 hectares of private jungle with a wonderful mountain backdrop. It is an intimate retreat pioneering environmentally responsible tourism in a new frontier of the island’s burgeoning wildlife sector.